The teaser photo features a more flowing and sporty design. One of General Motors’ vital cogs in the global market for small cars is getting a nip and tuck. Chevrolet will unveil the revamped 2016 Spark at the Seoul and New York auto shows on April 2. 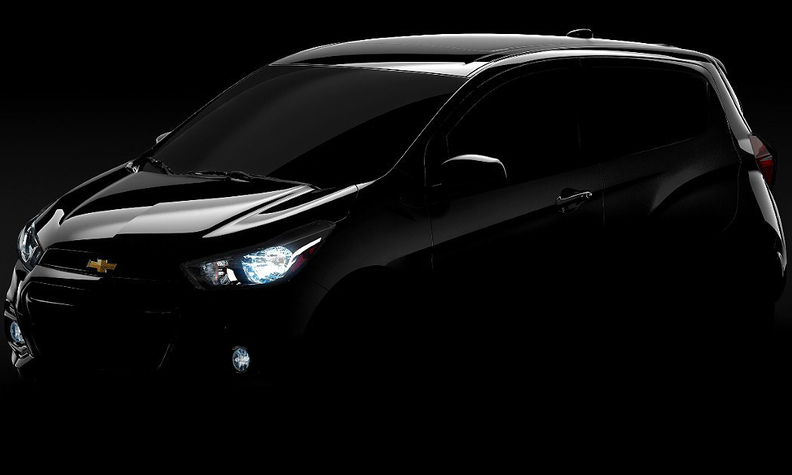 The company released a teaser photo of the car on Monday. The Spark is available in 71 countries worldwide, with South Korea, the U.S. and Mexico the top three markets for the subcompact. Chevy says the redesigned subcompact hatchback will feature a “sleeker, more aerodynamic profile.” The hood appears to drop more than the current model and the roof looks to be raised toward the back. The teaser photo features a more flowing and sporty design, and the refresh will reflect “the changing tastes of the global minicar market”, according to Chevrolet. Brinley expects the Spark’s looks to be refined and have grown up, but also keeping its small car essence. “It’s normal product cadence for GM,” said Brinley. Brinley noted that the Spark plays an important role for Chevrolet by bringing in new customers and keeping them around when they make their next purchase. According to Chevrolet, the Spark has been attracting younger and first-time car buyers to the automakers -- some 26 percent of buyers are under 35. Pricing on the current Spark starts at $13,095, including shipping. Brinley expects a standard pricing uptick but nothing “traumatic” when pricing for the 2016 model is announced. According to Chevrolet, the company has sold more than 1.1 million Sparks worldwide since its release in 2009. While GM is pulling Chevrolet from Europe at the end of the year, the refreshed Spark will share DNA with its European cousin, the Opel Karl. The Karl uses GM’s small-car platform that will also underpin the redesigned Spark. According to Automotive News Europe, GM is hoping that the Karl will attract former Chevrolet buyers in the region. A spokeswoman for Chevrolet said more details about the Spark will be announced when the car is revealed in New York.